Math is often a polarizing topic. Most people either love it or hate it. The good news is that even those who don’t like math at all can’t deny its importance. Business owners know they need someone with strong mathematic's skills to keep their budgets in the black. 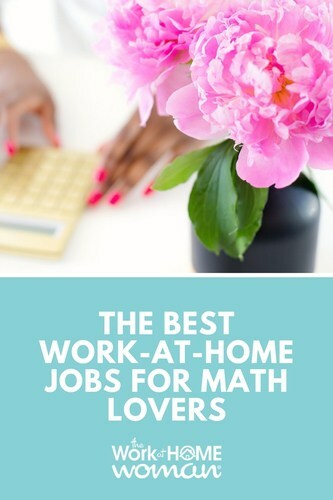 If you geek out over numbers and have a passion for mathematical equations and crunching figures, there are plenty of home-based careers for you! In most states, you’ll need to be certified as a Certified Public Accountant (CPA) to work as an accountant. However, depending on which state you reside, it’s possible to practice accounting without a CPA (you still need a four-year college degree). Accountants oversee tax information and government filings. They ensure a company is operating according to GAAP (generally accepted accounting principles) and obeying standard operating procedures and practices. This means looking at accounts payable, accounts receivable, financial projections, and future planning. Actuaries look at statistics and financial theory to calculate future risk. Think of it as a measured way to predict the future. Typically, actuaries work with the insurance industry or benefits departments and are usually involved in pensions and investments. An actuary uses statistical analytic skills to help a business calculate strategic decisions. Actuaries hold an Actuarial Science degree and have also passed the SOA (Society of Actuaries) or CAS (Casualty Actuarial Society) exams. Actuaries are in high demand and make good money. To learn more about the actuarial field, explore the great information at Be an Actuary. 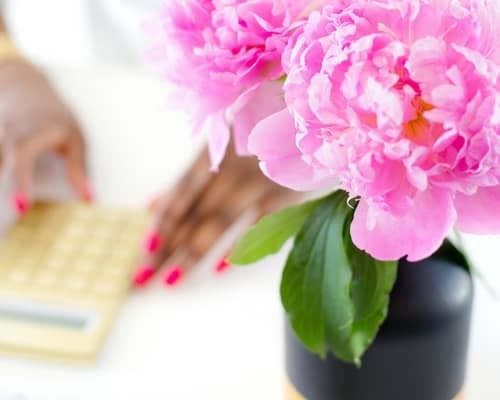 While bookkeepers fall under the umbrella of accounting, the position of a bookkeeper usually refers to a less-formal role than the accountant (which requires a degree or certification). Bookkeepers are focused on the day-to-day operations: tracking money that comes in and money going out. Almost every business needs a bookkeeper, and those with experience can find many work-at-home bookkeeping jobs. Even if you don’t have formal experience, bookkeeping is a good opportunity to start in a finance-related field. If you'd like to know what it's like to run your own bookkeeping business from home, check out Callie Sitek's story here. Callie started out as a virtual assistant but later decided to make the switch to bookkeeping. Her business has grown so much that she's had to hire two additional bookkeepers to keep up with the demand. Financial and tax analysts duties vary by position. Analysts collect data and analyze it to access overall financial performance. Analysts may look at past performance as well as microeconomic and macroeconomic factors to offer recommendations to management. Most analysts need to have a bachelor’s degree in a related field. Some positions may require an MBA or completion of a CFA (Chartered Financial Analyst) program. Do enjoy personal finance or have a knack for budgeting? If so, you may want to consider starting a finance blog. Bloggers who write about managing personal finances are very popular. Budgeting tips, tricks, and methods for living debt-free are all excellent topics appealing to a huge audience. If you have a unique perspective and you’re ready to share your story with the world, starting a blog is a wonderful way to earn money from home. Michelle, the brains behind the uber-successful finance blog, Making Sense of Cents earns over a million dollars a year with her blog! The majority of her income comes from affiliate marketing and course sales; you can read her story here! Miranda Marquit, publisher of the financial blog, Planting Money Seeds earns six figures a year through her blog. The majority of her income comes from freelance writing for clients, but she also dabbles in affiliate marketing, ads, and book sales; you can check out her story here! Ready to start your own blog? Great! Here's a simple step-by-step tutorial that walks you through the process. A financial planner works with individuals and companies to set their financial goals and devise a plan to meet them. They look at long-term financial objectives and recommend investments and strategies. Financial planners often hold a certification (CFP) which requires a board examination to receive the designation. Financial planners can meet with clients during flexible hours, and there are opportunities to work from home. Writers who understand and are skilled at articulating the details of the financial industry are in big demand. Many companies seek writers for internal publications, web content, published magazine articles, and blog posts. You can also write email newsletters, financial copy, or whitepapers. For skilled writers, freelance opportunities abound in the finance world. If your passion is in applying practical mathematics, then teaching or tutoring future generations could be the perfect fit. These roles are wonderful jobs for math lovers because they allow you to share your knowledge and act as a role model for students. Many kids decide they don’t like math because they hit a wall or get frustrated in their learning, which is why tutors are vital. As any successful salesperson will attest, marketing is all about numbers, leads, open rates, CTRs, and conversion rates. If you want to excel at marketing, you need a head for finance. Math lovers will fit right into sales and may especially enjoy statistics, demographics, and projections. When you understand numbers, you can forecast probable outcome — and help companies earn more money. Of course, expertise goes a long way with these financial jobs, but even newbies can break into the financial job industry. Often with a little extra training, you can combine your soft skills with your prior work experience and education, to land your dream numbers job. Do you have a job that revolves around math and numbers? Are you able to work from home? If so, drop us a note below. We would love to hear from you!